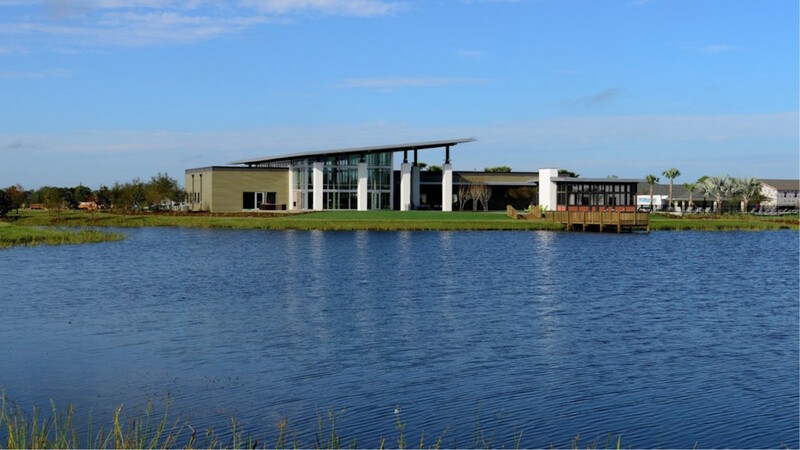 Waterset is a 1,600-acre master-planned community within the highly-acclaimed Hillsborough County Public School District and is designed on the principles of vibrant community and social life, with gathering places for recreation, education, and entertainment. The Landing Club and Café serves as the community’s activity hub and welcome center, and includes a lounge, pool area, playground, and pier. The facility campus also includes a fitness center, formal lawn and pavilion situated on an 8-acre lake, and is adjacent to SouthShore Montessori Pre-School. Additional amenities in Waterset include a Central Greenway with 12’ path; a fit trail; neighborhood parks; a 32 acre lake with one-mile trail loop; dog parks; 2 splash zones; and an outdoor gym. Miles of trails lead in every direction through a landscape of lakes, ponds, wetlands and parks, creating a sense of freedom, adventure and relaxation. The architecture is inspired by regional, historic agrarian precedents. Available floor plans provide open, natural light and well-proportioned square footage that take advantage of the community environment, and design patterns that reflect meaningful connections with nature, the water, and residents. 7 leading homebuilders are represented and selling homes from 1,400 – 4,000+ square feet on homesites ranging from 30’ – 80’ wide. Commercial acreage is available for development opportunities.